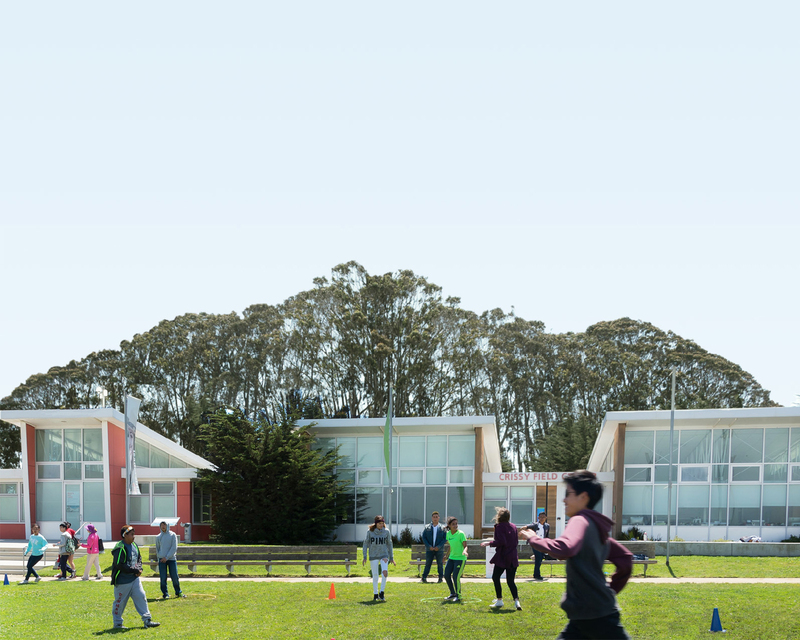 The central part of the Presidio is part of the Golden Gate National Parks but is managed by the Presidio Trust, and a number of projects in this area have also been supported by the Parks Conservancy. This part of the park is an eclectic mix of neighborhoods, businesses, historic sites, forests, and grasslands. Numerous trails thread throughout all of these areas, and many projects have focused on improving access and protecting key habitats and historic resources. A huge, multi-year effort throughout the Tennessee Hollow Watershed—from its headwaters near the restored Inspiration Point Overlook all the way to where it meets the San Francisco Bay—has led to the restoration of the historic El Polín Spring and its incredibly rich bird life. New and improved trails thread throughout the center of the Presidio, providing better connectivity to other major trails, and a more enjoyable experience for all who use them. Learn more about some of these key efforts below. For a comprehensive overview of the Presidio Trust’s website for comprehensive Presidio trails information. At 270 acres, Tennessee Hollow is the largest watershed in the Presidio. Since the late 1990s, the Presidio Trust, National Park Service, and Parks Conservancy have been working toward restoring the entire watershed from springs to bay, to restore a vibrant, contiguous, and diverse mosaic of native plant communities and wildlife habitat. After centuries of slaking the thirst of its denizens, El Polín Spring itself has been, well, refreshed. In 2011, a dramatic phase of improvements was completed by the Presidio Trust, Golden Gate National Parks Conservancy, and National Park Service. The Bay Area Ridge Trail is an epic, planned 550-mile multi-use trail around San Francisco Bay. The Presidio leg links the park's highest points, from Arguello Gate to the Golden Gate Bridge. Completed in May 2010, the Park Trail provides a north-south trail corridor through the Presidio, extending 1.7 miles from the 14th Avenue Gate to Crissy Field. Once part of a vast dune system, Lobos Creek Valley was the first major restoration project in the Presidio after it became a national park in 1994. The 2.1-mile Presidio Promenade is a major east-west trail bringing visitors from the park's urban edge at the Lombard Gate to the Golden Gate Bridge.